The result marks a victory for Canada's indigenous Inuit people over their bigger neighbour to the south. Delegates at the Cites meeting in Thailand rejected the proposal to change the bear's status from a species whose trade is regulated, not banned. There are about 25,000 polar bears left in the world with an estimated 16,000 living in the Canadian Arctic. Canada is the only country that permits the export of polar bear parts. Each year around 600 polar bears are killed there, mainly by native hunters. According to Inuit representatives, the pelts from around 300 bears are sold for rugs. Other parts including fangs and paws are also exported. The Inuit say they get an average of $4,850 per pelt. They argue that this is a critical economic resource for a people that do not have much else. Many countries, including the US, believe the killing of the bears in these numbers is unsustainable. They were being supported in this proposal by their former cold war enemy Russia. The United States had proposed that polar bears be upgraded to Cites Appendix 1, meaning that no trade whatsoever could take place in their pelts, paws or fangs. Canada stridently opposed the idea. The contentious issue split the European Union which attempted to table a compromise proposal. When their alternative idea was rejected by the US and Russia, the EU decided they would abstain as a block. They were joined by 19 other countries to making the total of 46 not voting. Following the defeat of a similar proposal at the previous Cites meeting in Doha, some campaigners had believed that the argument was swinging in their favour. Thursday's outcome therefore represents bitter disappointment. Dr Teresa Telecky from Humane Society International said the conference had refused to face up to its responsibility. "Polar bears are being driven to extinction and must be protected from other threats such as international commercial trade. We are supremely disappointed that so many Cites parties ignored the clear scientific evidence that justifies an uplisting of the species to Appendix I." But according to Inuit representatives at this meeting, the trading of polar bear parts represented a vital economic interest. Terry Audla, president of the Inuit Tapiriit Kanatami, said he was very proud and happy that the international community had agreed that the way the Inuit manage the polar bear is working. "It is very important, it is our livelihood," he said. "We don't have cows or pigs or chickens; what we have are the polar bears, the seal, and the walrus. "This is how we make our living; this is how we put food on the table. And for the rest of the world to suggest that how we manage the polar bear is not right is a slap in the face - but the decision that was made today shows we are doing the right thing." Supporters of the proposal said that while climate change was the biggest threat to the bears, the fact that around 300 a year were being killed for a lucrative trade in their skins and parts was undoubtedly damaging to the species. Mr Audla said that less than 1% of the global polar bear population was traded. And he rejected the idea that an increase in the price of pelts was leading to more hunting. 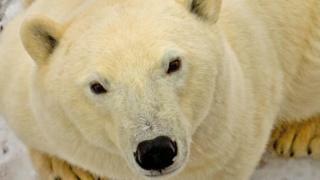 "What's traded is not in any way detrimental to the polar bear population. We harvest for subsistence, we are never driven by the market." Supporters of the ban say they are going to carefully analyse the vote to see if it is possible that it could yet be overturned at the plenary session at the end of the Cites meeting.